Mission Bay Aquatic Center Blog: Summer camp is here! Whether it seems like the school year has flown by or has been dragging on and on, for many students summer vacation has already begun and it's time for camp! 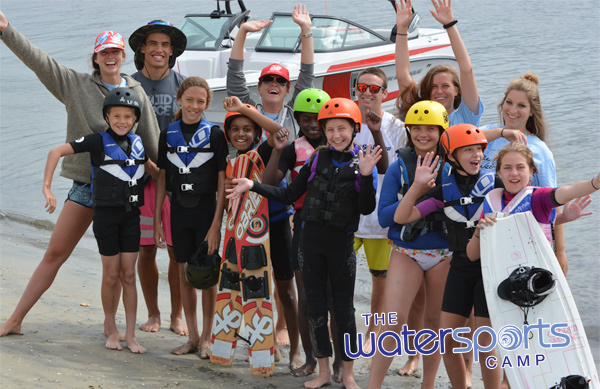 This week many lucky campers are already kicking off their summer vacation at The Watersports Camp wakeboarding, surfing, paddling, or sailing their days away. Our staff has been hard at work training over the past few weeks and are happy to finally get to spend some time providing high quality camp experiences and creating memories to last a lifetime! If you're still in school then we're sure summer break is right around the corner and we are looking forward to seeing you at camp soon! Forgot to register for camp? Be sure to register today at watersportscamp.com!